Toast the chile pieces a few at a time in a dry heavy skillet or on a griddle heated over medium, pressing them flat against the hot surface with a metal spatula until they are aromatic, about 19 seconds per side. In a bowl, rehydrate the chiles for 20 minutes in hot tap water to cover; place a small place on the top to keep the chiles submerged. 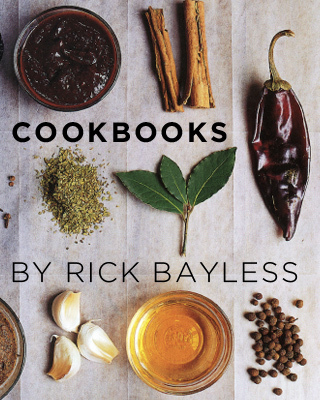 Use a pair of tongs to transfer the rehydrated chiles to a food processor or blender. Measure in 1 cup of water, add the tomatoes and garlic and process to a smooth puree. Press through a medium-mesh sieve into a bowl. Heat 1 1/2 tablespoons of the oil in a medium (4- to 5-quart) pot or Dutch oven or a large (12-inch) deep skillet over medium-high heat—you’ll need a lid for whichever vessel you choose. When hot, add the chile puree and stir until nearly constantly until reduced to the consistency of tomato paste, about 7 minutes. Add the broth, partially cover and simmer over medium-low heat for 20 minutes. Season with sugar and salt, usually about 1 scant teaspoon. You should have about a generous 4 cups of brothy sauce. 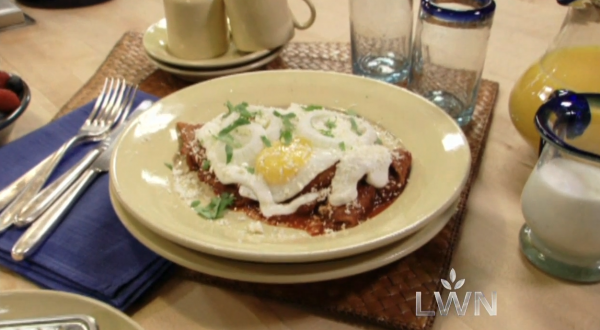 Just before finishing the chilaquiles, heat the remaining 1 tablespoon of the oil in a large skillet over medium. Add the eggs and cook on one side just until set, sunny-side up. Raise the heat under the seasoned sauce to medium-high. Stir in the chips, coating all of them well. Let return to a rolling boil, cover and turn off the heat. Let stand for 5 minutes (no longer). Uncover the pot and check that the chips have softened nicely—they should be a little chewy, definitely not mushy. Spoon onto warm plates. Drizzle with the crema (or its stand-in), strew with the sliced onion and dust generously with the cheese. Transfer an egg to each portion and serve right away. I love your receipts, they are simple and delicious. Just curious about the types of liquid used …. Why would you drain the tomatoes if you then add water back to them, to blend the toasted chiles into a puree ? I realize the toasted chile soaking water can be bitter (if the chiles get blackened). Why use plain water at all ?… as opposed to using the tomato liquid + stock/broth ? I’ll sneak a little smoked chipolte chile in there too.